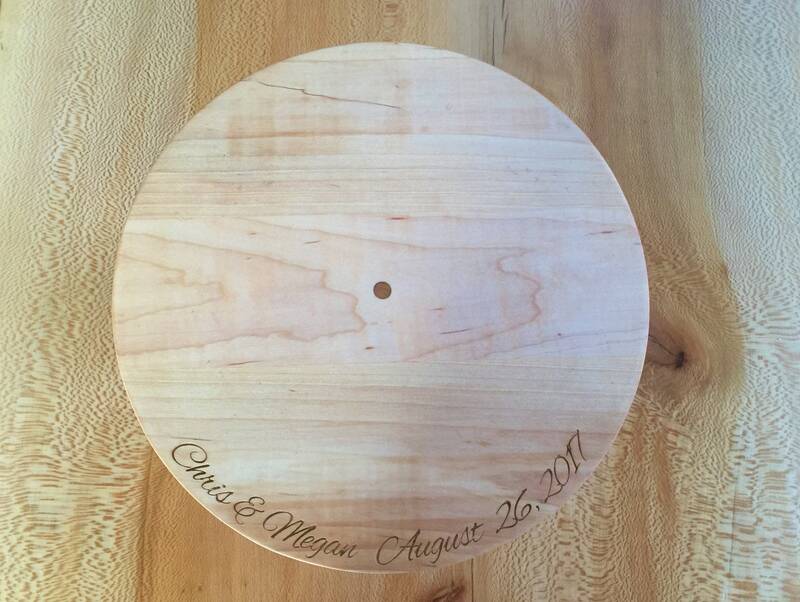 Personalized Wedding or Anniversary Cake Stand. 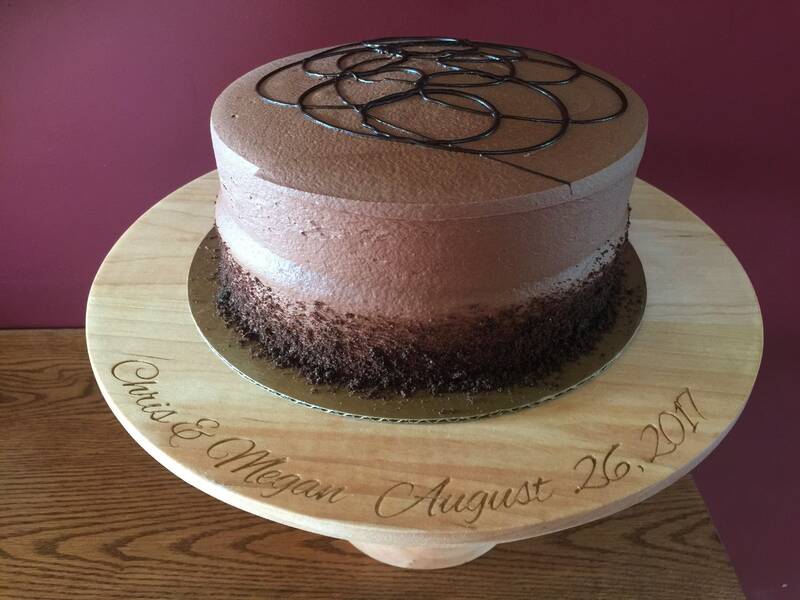 Custom Wedding Cake Stand. Custom Wedding Decor. Rustic wedding or elegant wedding decor. 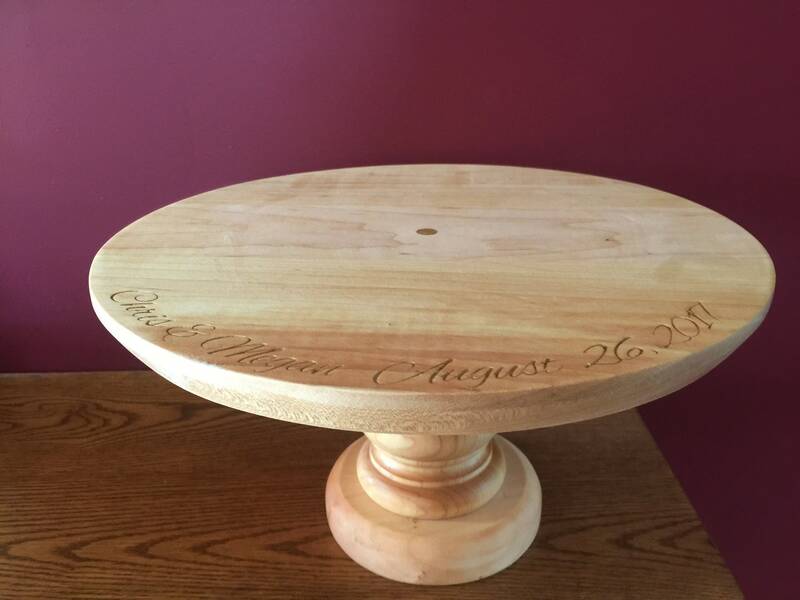 This personalized, engraved wooden wedding cake stand is perfect for the wedding day and useful years after as a serving board. 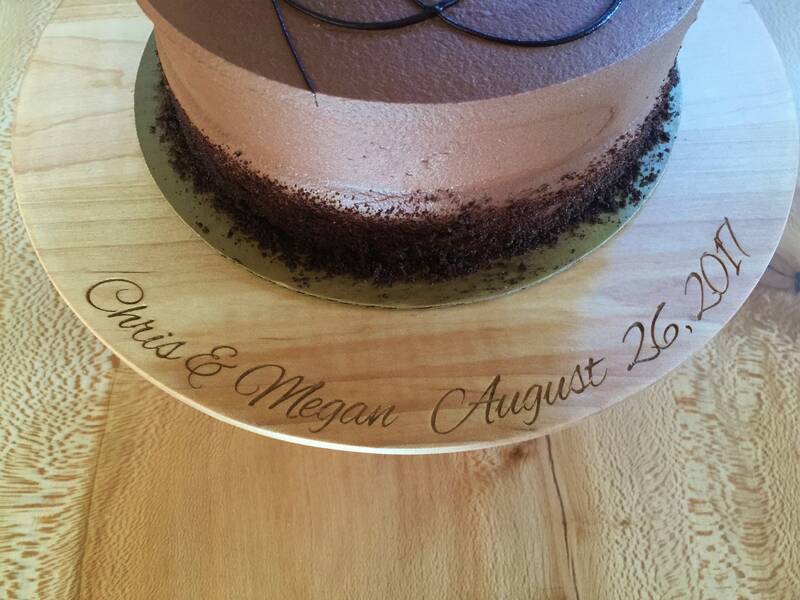 It is personalized with names and date. 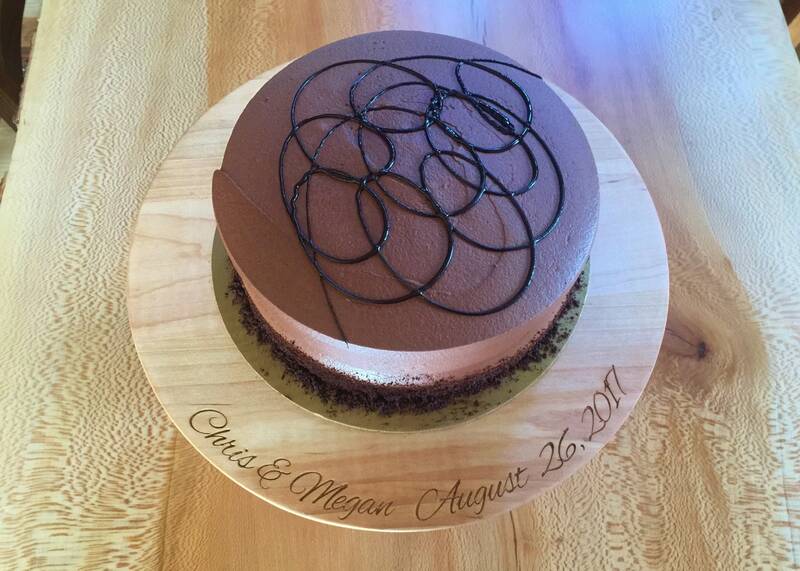 Use it for the wedding cake and as a serving piece on anniversaries for years to come! 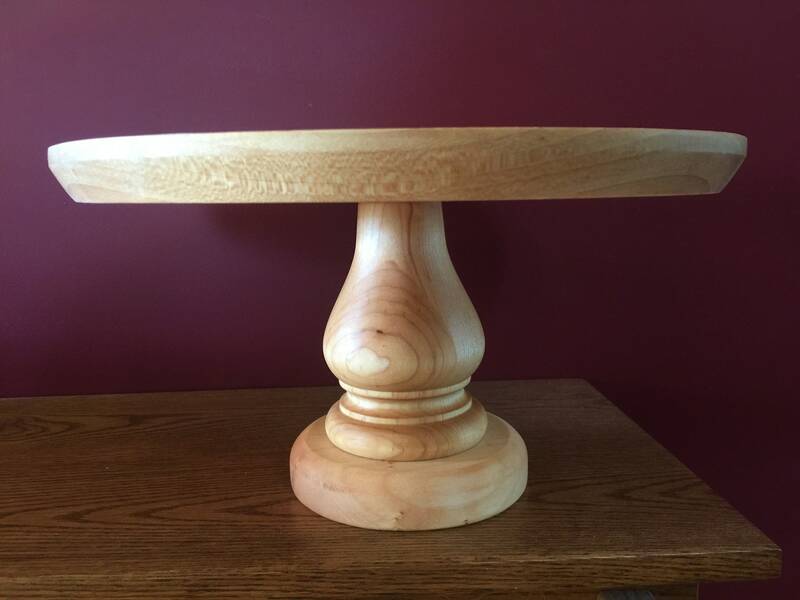 This item is crafted from hard maple for beauty and durability. 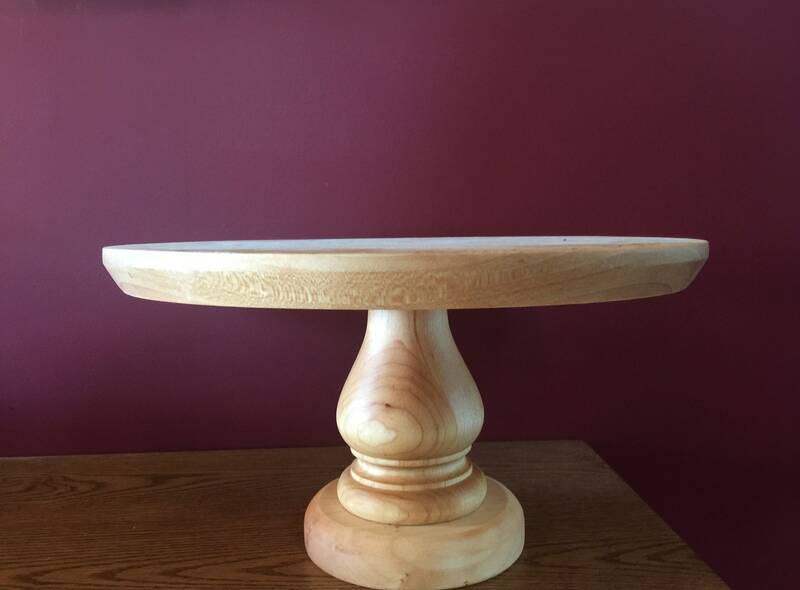 The top is finished with mineral oil and beeswax for food contact use, while the base is finished with conversion varnish for durability.